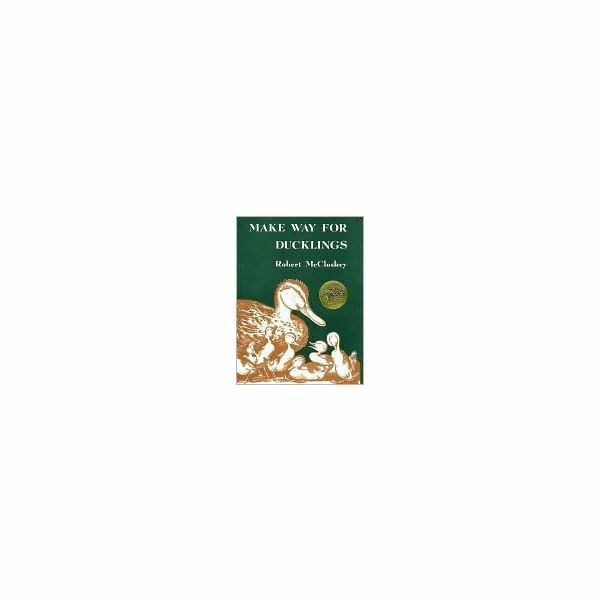 Make Way For Ducklings by Robert McCloskey is a delightful Caldecott Award winning book that fits well into several classroom themes: Caldecott Winners, Mothers and Babies, Spring Animals or Ducks. Use the Make Way For Ducklings lesson plan to learn about ducks, play a game, study a word family and more. This is the kind of book that you’ll want to read through without much discussion so that the story will flow. There is a CD available for this book in most libraries if you choose to have your students listen to it. Then discuss the story with your students as you turn pages and talk about the pictures. 1. What were Mr. and Mrs. Mallard looking for? A safe home to raise the family. 2. Why didn’t the “strange enormous bird" speak to them? It wasn’t real. 3. While molting, the ducks couldn’t fly. How did they get peanuts? From Michael the policeman. 4. Why was it a good thing that they had become friends with the policeman? He helped them by stopping traffic so the ducks could cross the street safely. 5. How did the policeman know Mrs. Mallard wanted to cross the street? She kept quacking until she got his attention. 6. Do you think Mrs. Mallard did the right thing to solve her problem? Yes, and she didn’t give up. Have you ever had a problem to solve? In the book, the ducks find their new home just in time because they are beginning to molt. What is molting? According to the website https://www.ducks.org “Ducks depend on their feathers and old, worn feathers must be replaced. Molting is the process of replacing worn feathers. Ducks molt in the late summer and in the early spring." At this time they are unable to fly so the ducks hide in tall grass or float in deeper water. Mr. and Mrs. Mallard have eight ducklings. Two plus 8 equals 10. That means they are a family of ten! How many other ways can you have a sum of ten? 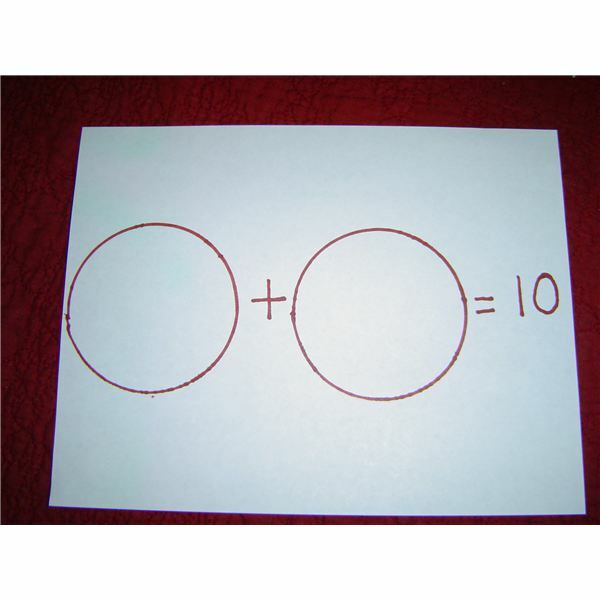 Instruct the children to put all ten counters in the circle on the left. You may want to demonstrate. You may also say, “Ten ducks are in one pond and none are in the other pond. How many in all?" Write the number sentence: 10 + 0=10. Continue on with nine ducks in one pond and one duck in the other pond. How many in all? 9 + 1= 11. Continue until you have all possible addition number sentences that equal ten: 10+0; 9+1; 8+2; 7+3; 6+4; 5+5; 4+6; 3+7; 2+8;1+9; 0+10. If you have written the number sentences vertically on the board, some students may notice a pattern with the number sentences. On one side, the numbers count down from 10 to 1. The other side counts from 1 to 10. Mr. and Mrs. Mallard name their ducklings: Jack, Kack, Lack, Mack, Nack, Ouack (pronounced wack) , Pack and Quack. Write the names on the board. Notice that all of the names end with “ack". Write more words that have the same ending: sack, lack, stack, rack, back, tack, track, black. Can the students sound them out? This is the perfect time to play “Duck, Duck, Goose" or choose to add some Spanish vocabulary by playing “Pato, Pato, Ganso." One student is "it" and walks around a circle of students patting them gently while saying "duck" or "pato". When "it" finally says "goose" (or "Ganso") the goose chases the duck. If the goose catches the duck, the duck goes in the center of the circle. If the goose fails to catch the duck before the duck reaches his seat in the circle, the goose is "it". The Make Way for Ducklings lesson plan will help your students get the most out of this book. Work across the curriculum to have a day full of activities.